Neil Strauss (@NeilStrauss) joined James Altucher to talk about self experimentation, writing, and what real estate agents know about picking up girls. Strauss is the author of The Game, Everyone Loves You When You’re Dead, and Emergency. Strauss is most famous for The Game, and that’s what a lot of his conversation with James is about. In that book he writes about the pickup scene, where men use specific tactics to find, attract, and seduce sexual partners. James starts the interview by telling Strauss that he watched other interviews to prepare. One they touch on is this Jimmy Kimmel appearance when Strauss was asked to pick up Jessica Alba. Those pickup skills aren’t just for late night TV shenanigans. Strauss tells James that a government agency asked him to work with their field agents. Which is somewhat ironic considering these posters from 1943. One of the tips that Strauss found useful for pickup is one that real estate agents use too. Strauss says that in real estate, agents keep up their relationship with home buyer so they don’t feel like they were used. In pickup it means to talk to someone even after getting their phone number. Strauss isn’t the only one who brings domains together like this. Ramit Sethi’s (episode #36) first project was about combining psychology and finance. Ted Leonsis (episode #53) told James that AOL used marketing techniques of the shampoo world to better distribute free copies. Bringing together things that work in different domains seems to be something that works. It sounds like Strauss’s projects start with his own problems. He wrote The Game, to learn how to pickup women. He tells James that some great stories didn’t even make the book because they don’t serve the overall story. Jon Acuff (episode #106) told James much the same thing about writing. For Acuff it was jokes, that while funny, didn’t add to the book. An older example – but one I just came across – was Gang Leader for a Day. This book from 2008 is the story of what happens when a graduate student at the University of Chicago befriends a local gang leader. This is not the story you see on the news. I found myself empathic to the (lawbreaking) characters and wanting to know more about the nuances of their world. Strauss is repeating common advice here, find what works for you. A.J. Jacobs (episode #94) is the most extreme example when he tried to be the healthiest man alive. From paleo diets to plastic contaminants, Jacobs tried nearly everything. From that swatch of experience he took the things that worked best for him (stand, don’t sit – eat slow, not fast – 3,4,1, & 2(plastics) all the rest are bad for you). James too in his daily practice of physical, mental, emotional, and spiritual growth is his system. If that works for you, that’s great. If it doesn’t then what are you trying? Part of finding things that work is knowing who you are. “It’s important to know who you are” Strauss tells James. Gretchen Rubin (episode #97) writes about exactly the same thing in her book Better Than Before. Rubin wanted to improve her habits. She knew she wanted to be healthier, but didn’t like competition or intensity. Long, slow runs were perfect for her. The same goes for figuring out if you like being around others, what time of day you work best, and more. One thing Strauss knows, is that he doesn’t like selling. It’s a feeling of “horribleness” he tells James. Many guests who are selling things seem to share this attitude. Some mention, often while laughing, that you have to be a bit egomaniacal to feel like something you write is worth other people to read. Strauss goes so far to say that he feels shameful. What might help is to remember Anne Lamott’s advice about detachment. Strauss would surely encourage a peer to promote her most recent book, so he should try to extend the same encouragement to himself. Once you get comfortable giving yourself this permission (to Choose Yourself as some might say), realize that the comfort isn’t permanent. “Breaking outside your comfort zone is where learning and growth happens” Strauss says. This was true for Brian Koppelman (episode #98) who had to dive into stand up comedy before figuring out how to finish writing Solitary Man. Other guests too have said that discomfort is where growth happens. Peter Thiel (episode #43) said that the best entrepreneurs come out of situations where they were challenged. Dave McClure (episode #99) said that he had to learn a lot of lessons the hard way to begin to solve his problems. Strauss gives a good test to figure out where we can find areas; look where you are making excuses and attaching negative consequences where there aren’t any. Tim Ferriss (episode #109) calls this “a nebulous fear of failure.” Ferriss says that too often we overestimate how bad something will be. The end of the interview talks about Strauss’s imprint, Igniter books. 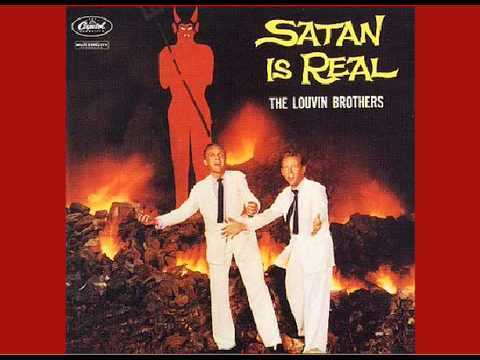 One of the books published there is about Satan is Real who have “the greatest album cover of all time” Strauss says. James asks for some reading suggestions, and Strauss (like many other guests) does not disappoint. Some of his suggestions are; The Fan Man by Kotzwinkle, anything by Dennis Johnson, Ladies Man by R. Price, Last Exit to Brooklyn, and James Joyce’s Ulysses. Thanks for reading, I’m @MikeDariano. If you like a good reading list like this post ended with check out some of the other posts here. If you want even more book suggestions, I share a monthly list of what I’ve been reading.